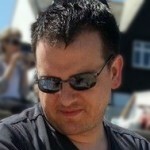 In this episode, hosts Christopher Jarvis and John Stabler talk to Neil Rennison, Creative Director and founder of Tin Man Games, to talk through his favourite games as well as his history of bringing Choose Your Own Adventure games to mobile/PM, their official license with Fighting Fantasy and their epic PC adapation of The Warlock of Firetop Mountain, which recently gained its first premium DLC “Goblin Scourge.” Listen now and enjoy. 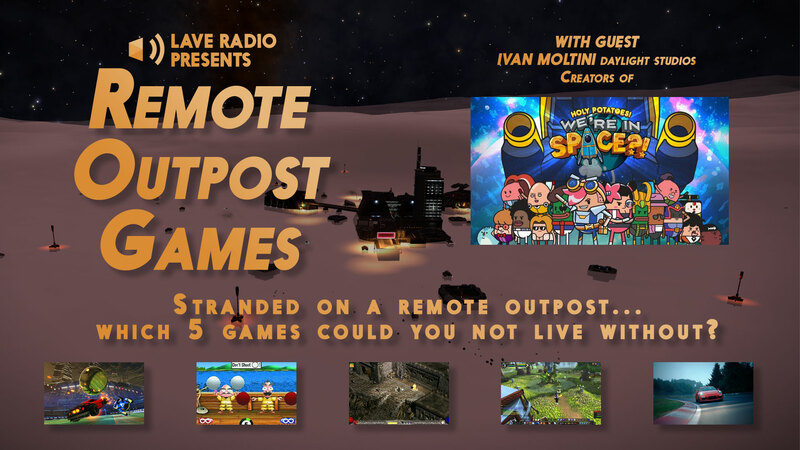 In this episode, hosts Christopher Jarvis and John Stabler talk to Ivan Moltini, community manager for the Holy Potatoes! series and browse through his choices as well as the past, present and future of po-ta-toes! Along we way we reminisce a classic internet meme, delve into some truly historic choices and get down with some MODs. Listen now and enjoy. We’ve been playing the Elite Dangerous Roleplaying Game (EDRPG) and we’ve produced it as a podcast series, of which is this part number FOUR, the FINAL EPISODE! 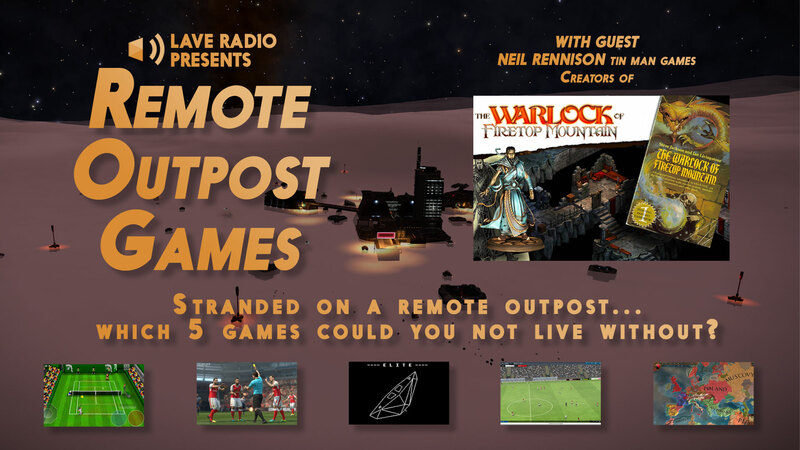 This podcast is a RPG game enhanced with music, sound effects and an all-round fiction treatment, plus some great rolepaying from the Lave Radio crew and excellent content planning by Oliver Hulme, our Game Master and Lead Writer of the Elite Dangerous RPG. In episode four of INCIDENT AT BAIJANGU – recorded LIVE at Lavecon 2017 – a blinded and injured Thane hangs from the monorail car, Fozza has disappeared, Psykokow and Eid LeWeise have to deal with a ticking bomb – and what is that strange thumping coming from the cargo elevator? Download the episode here and it’s available in all the usual RSS/iTunes-y places as well. Part Three of the Lave Radio Adventure. 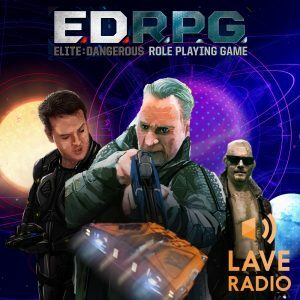 We’ve been playing the Elite Dangerous Roleplaying Game (EDRPG) and we’ve produced it as a podcast series, of which is this part number THREE! At LaveCon there will be a live RPG game which will be episode four of THIS ADVENTURE, so make sure you listen to the whole thing before this weekend, if you want to know what’s going on! In episode three of INCIDENT AT BAIJANGU, Cmdrs Psykokow, Eid LeWeise, Thane and 2nd Tech Fozza have ascended to station control on a mining base overrun with enemies. They have the element of surprise, but a carelessly thrown grenade threatens the team! Part Two of the Lave Radio Adventure. Out now for your listening pleasure, part two of our adventure within EDRPG, a new tabletop roleplaying system based on Elite Dangerous. This is the second part of a story which plays over three episodes and will end with a special finale episode at Lavecon 2017. You can hear the first part here. In episode two of INCIDENT AT BAIJANGU, Cmdrs Psykokow, Eid LeWeise, Elias Thane and 2nd Tech Fozza have been sent to a mining facility overrun by mercenaries and strange creatures. When we left them, the team had been ambushed by a pair of shooters. Will they survive? What else awaits? 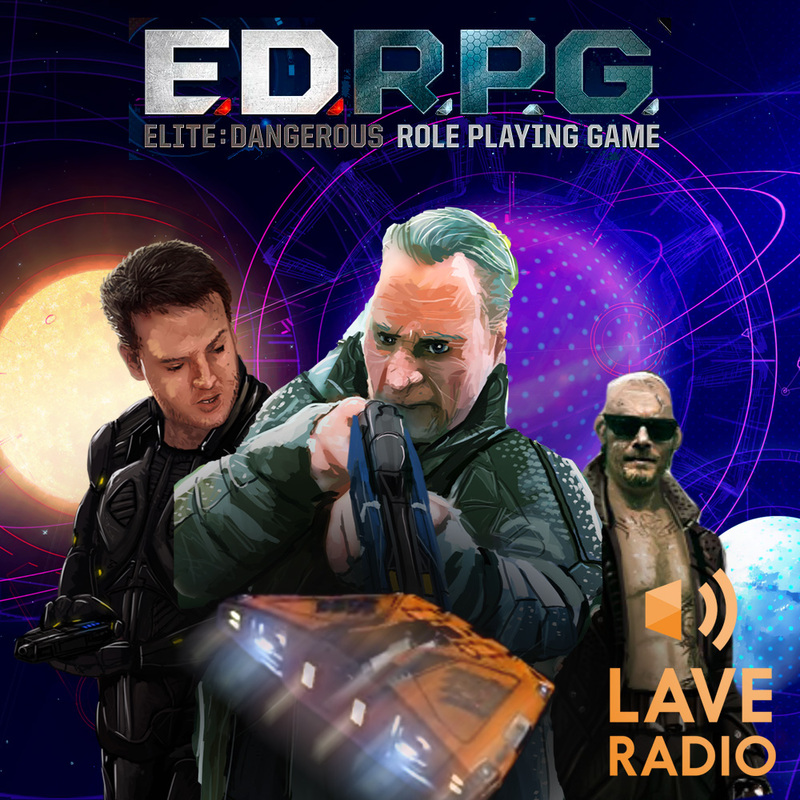 We’re very pleased that our upcoming convention, LaveCon 2017, is sponsored by the EDRPG, a new tabletop roleplaying system based on Elite Dangerous. We though it would be fun to play an adventure and present it to you as a podcast. This particular story plays over three episodes and will end with a special finale episode at Lavecon 2017. In episode one of INCIDENT AT BAIJANGU, Oliver Hulme – Lead Writer for EDRPG – is our Games Master in an adventure that takes us from an Imperial Business office in Leesti to a Mining Outpost in Baijangu. 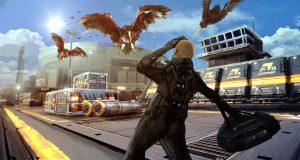 Cmdrs Psykokow, Eid LeWeise, Elias Thane and 2nd Tech Fozza have been hired for a very specific task. What will they find? 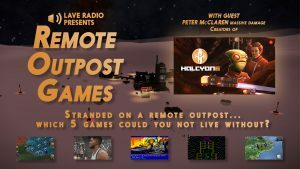 Need a podcast while you wait/travel for LaveCon? 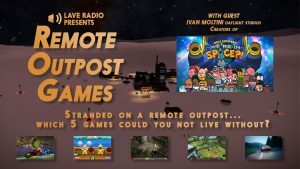 We have a prototype new show for your listening pleasure and in the absence of a main Lave Radio show this week, we though it was a good time to let you hear it! 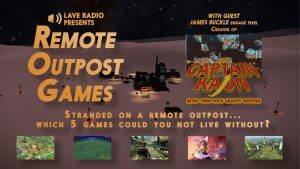 Remote Outpost Games is a new Lave Radio interview show. 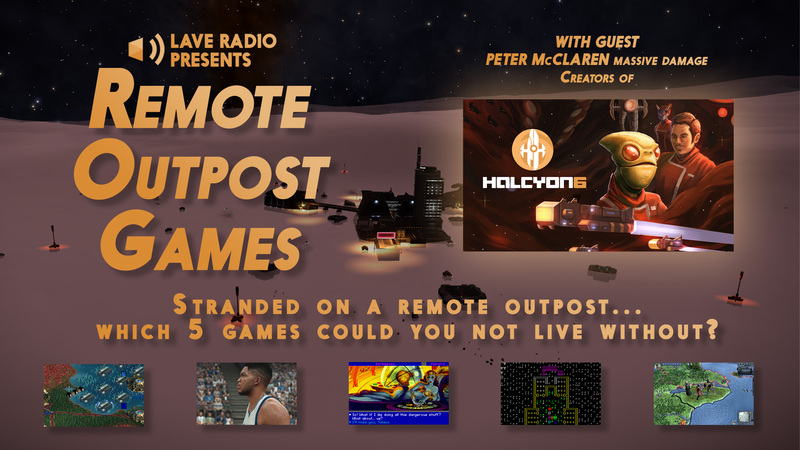 Our guests are stranded on a remote outpost with only five games salvaged from the wreck of their ship. 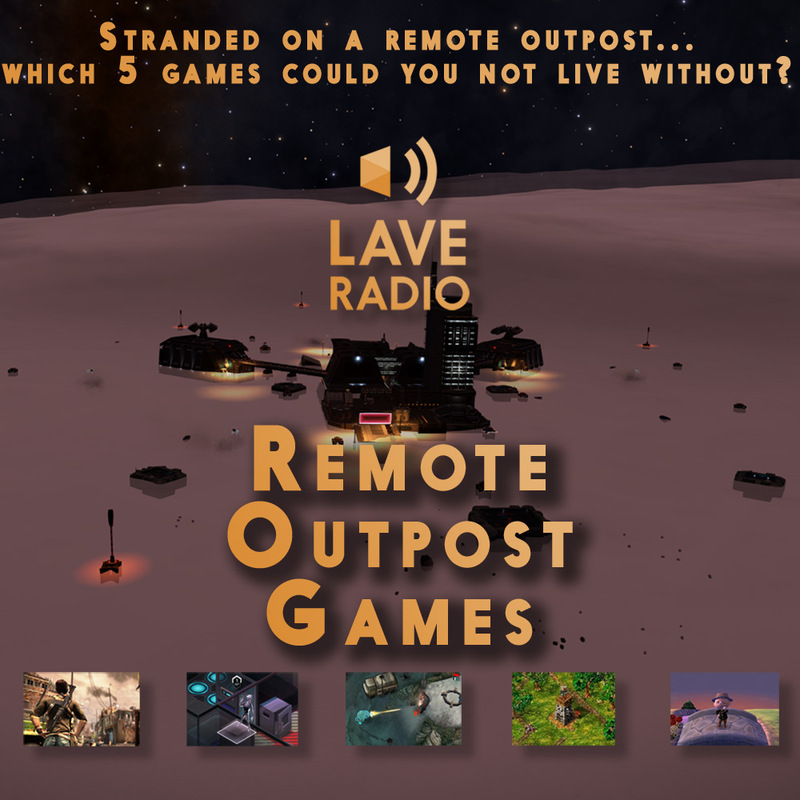 All Lave Radio escape pods automatically get Elite Dangerous and Tetris but the rest is up to the survivor. Which games would they choose and why? 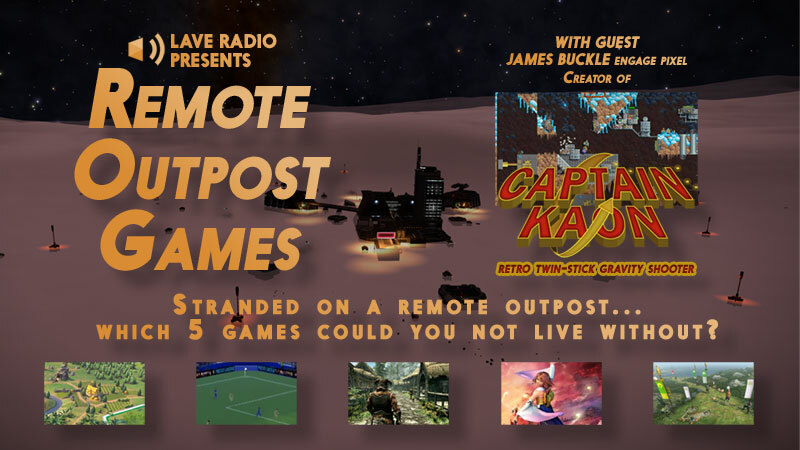 In this pilot episode, John Stabler interviews one of our own – Christopher Jarvis – about his choice of five games, what he looks for in a game, howhe feels about current trends in gaming and – of course – Escape Velocity.